The following is a sponsored post on behalf of Huggies, opinions expressed are that of my own. Now that Fall is here we will be getting outside more often to head to the park, events for the kiddos, as well as holiday get togethers. There will be plenty of face painting and getting dirty from all of the fun. It is not only essential, but mandatory for me to carry wipes along to clean those little faces. Regardless of age my kiddos get the wipe treatment, and why not do it in #ClutchStyle this Fall with Huggies Natural Care® Wipes! 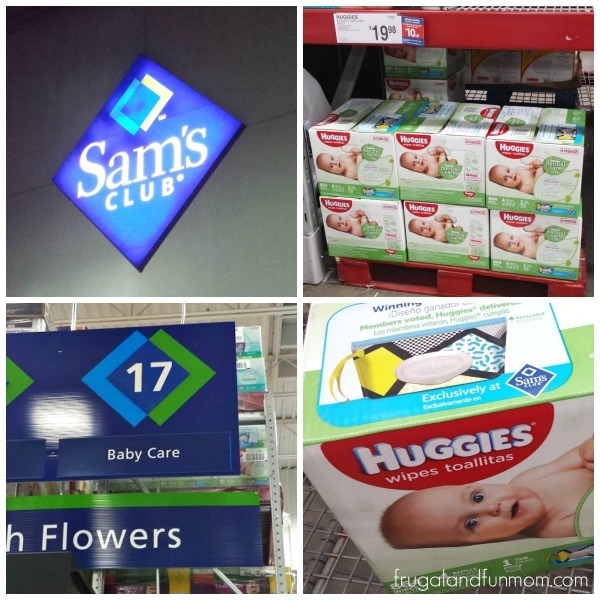 Right now at Sam’s Club, you can pick these Huggies® Wipes up with the trendy and stylish Clutch ‘n’ Clean. 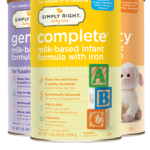 Each package has 864 wipes that are hypoallergenic and 99% water based. FYI the clutch design inside was selected by Sam’s Club members, and it is convenient enough to be attached to a stroller, thrown in a car, or placed into a purse or diaper bag. These Moms know what it is like to need the Huggies Natural Care® Wipes Clutch for the whole family! Check out their hilarious video and #ClutchStyle here–> Huggies® Clutch Video. Wanting to start Fall activities with a YUMMY treat? Be sure to check out my Slow Cooker Hot Chocolate below. First break apart the chocolate bars. Then place the ingredients into a slow cooker on low for 1 1/2 to 2 hours stirring occasionally. Tip: Check it a few times during the first 15 -30 minutes to stir the melted chocolates into the Almond Milk to avoid burning. Once heated through, move the Hot Chocolate to the warm setting. 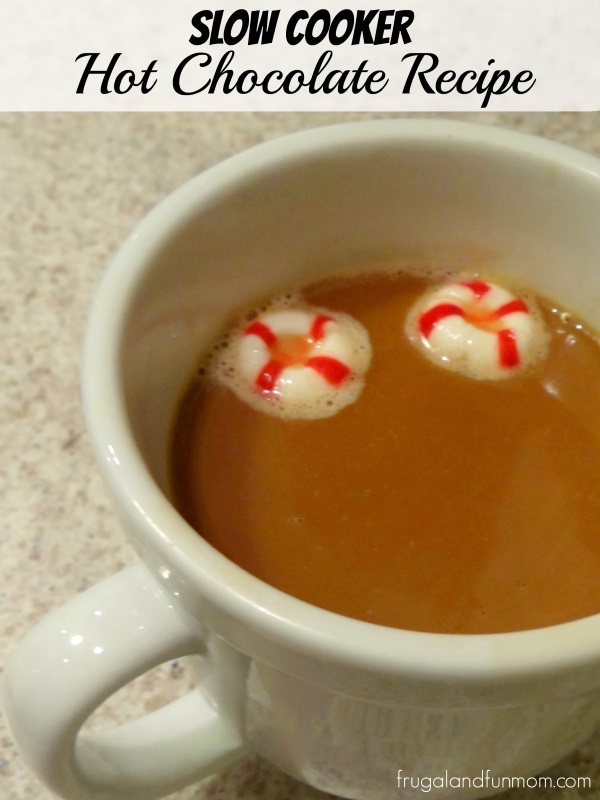 Optional: Add 2 Stripy Sweets to your warm beverage for a Peppermint Hot Chocolate. Don’t forget when they are finished with their beverage, you can clean those faces with Huggies Natural Care® Wipes! To learn more about this special offer visit Huggies Natural Care® Wipes Clutch. To take advantage of Sam’s Club savings in-store and online visit Sam’s Club Membership. 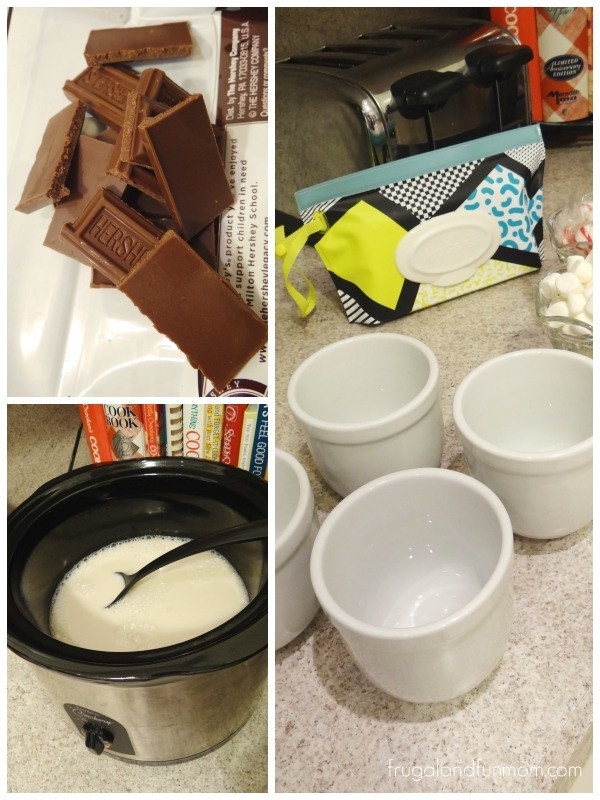 I hope you enjoy this Slow Cooker Hot Chocolate Recipe and have lots of clean faces this Fall! Today’s post was sponsored by HUGGIES ® Brand, by my love for their HUGGIES Natural Care® Wipes is all my own! 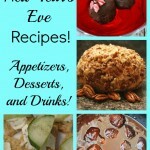 15 Easy New Year’s Eve Recipes With Appetizers, Desserts, and Drinks! Slow cooker hot chocolate sounds delicious! 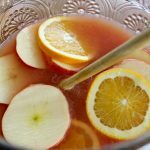 I love finding new recipes to use in my slow cooker, especially when it is chilly outside. PS - that Clutch N Clean looks handy!! 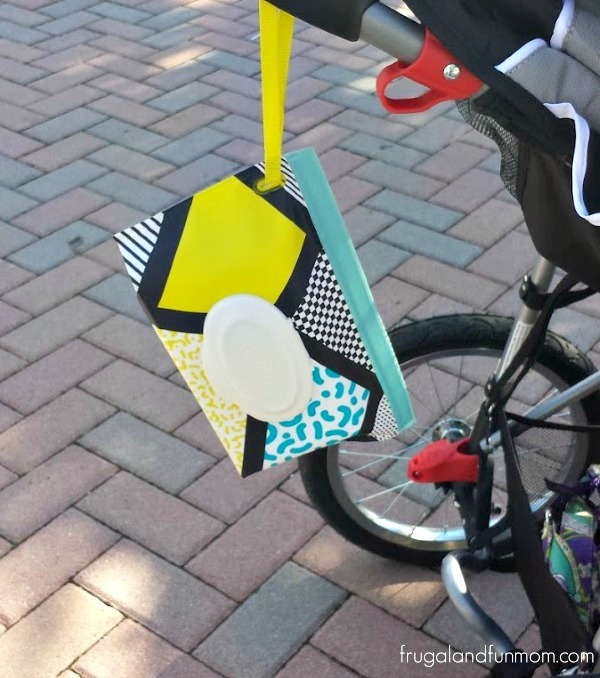 What a great idea to hang it from your stroller like that!